We came to SE Asia sound in our decision to NOT ride an elephant. It is the quintessential tourist activity to do here and yet there are many reasons one should not partake (brutal training, back breaking work). My friends and family know I can be holier than thou and they love me anyway, so they humored me as usual when I said we would absolutely not ride an elephant. And then what did we do? Yes. We did it. We rode an elephant. Our intentions were true. 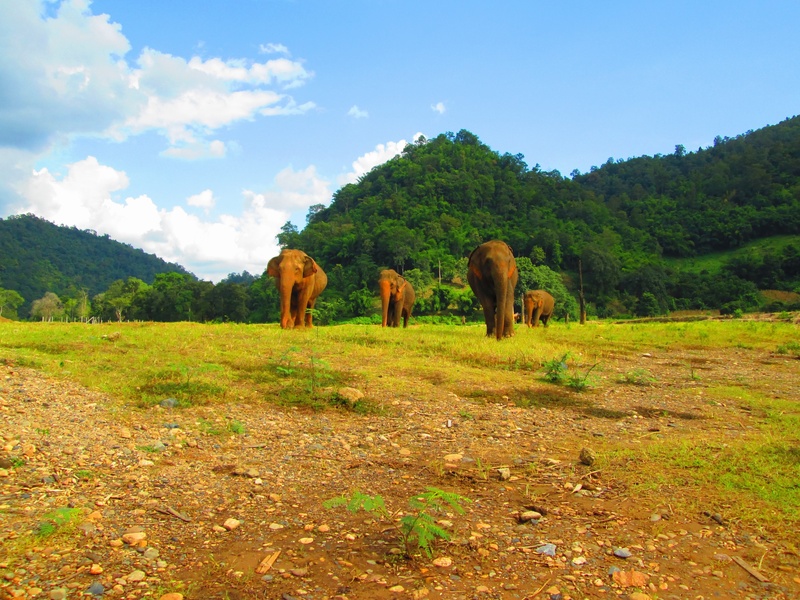 In Luang Prabang, tuk tuk drivers called out daily “Elephant camp?” No, no, we’d shake our heads, not for us. 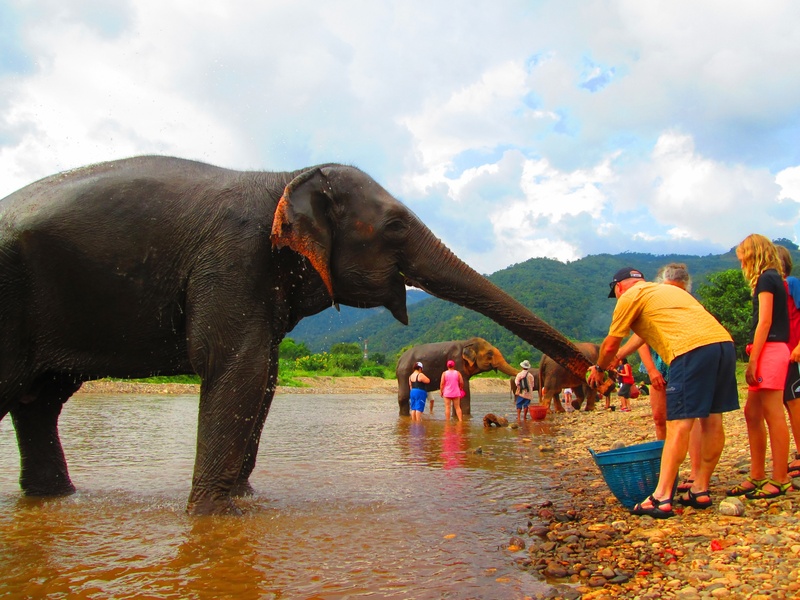 We would be heading to Chiang Mai’s Elephant Nature Park (ENP) in a few weeks, where one feeds and bathes but does not ride elephants. We were resolute. At ENP, we shared a special day with the kids and their grandparents marveling at these beautiful creatures. Our guide, Ruby, pointed out an elephant whose back was deformed from years of giving tourists rides and we were grateful to be here vs down the road where tour buses sat in droves while tourists were paraded in a long line up and down the dirt road on their ellies. We listened to Lek, ENP’s founder, discuss the important work necessary to save this graceful creature headed to extinction. We left happy, satisfied and a little smug. A few weeks later we were in Kanchanaburi province, an area four hours west of Bangkok rich with national parks and green peaks that separate Thailand from Myanmar. I was travel planning weary and had scheduled four days with a tour company to rest my Trip Advisor satiated brain. In my inquiry, I said we were a family that loves animals but prefers not to ride them. I was a bit perplexed when the suggested itinerary returned with an elephant trek. I responded that we weren’t interested in the trek. No worries, I was told. After a wonderful 1st day on the tour in gorgeous Sai Yok national park, day two brought a visit from one of the tour company’s lead guides telling us that the trek was ethical, the ellies only worked four hours a day and they lived free in the jungle with the Mon villagers. 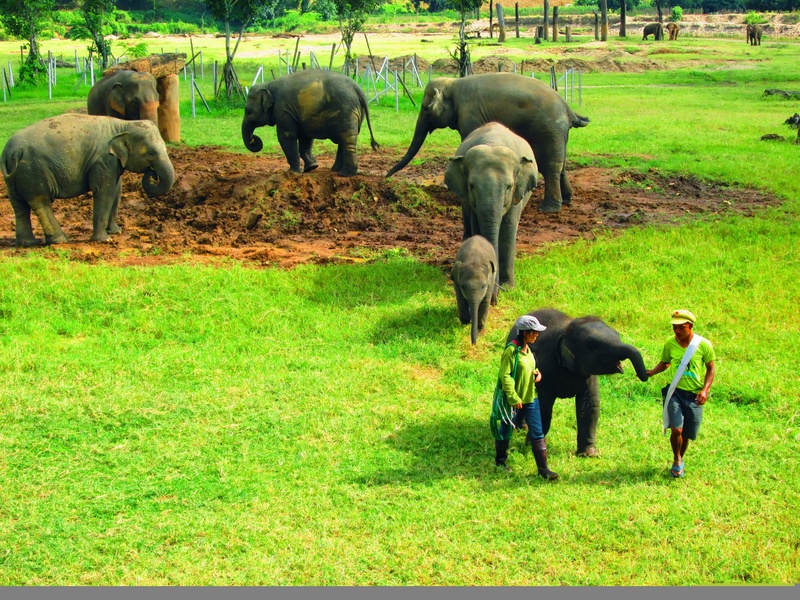 We were told the ellies would be put to work in the forest industry if they weren’t carrying tourists. The villagers needed a way to pay for the enormous amounts of food the elephants ate. The guide was concerned whether our kids could trek on foot which was our plan. And on and on. My family was uncertain and left the decision up to me. And I made an error in judgement. Despite our conviction and all that we’d read telling us NOT to ride an elephant, I went to that “once in a lifetime” place…when would we ever have another opportunity like this? So we said yes. Fast forward to two beautiful elephants and two mahouts with bull hooks and menacing voices. The instant knowledge that this was wrong. The village leader trying to coax a smile out of us to take a picture while Julia was close to tears and the rest of us were miserable. Learn from our mistake. Enjoy your ellies at great organizations like ENP or Boon Lott’s…bathe them, feed them, whisper sweet nothings to them, but please, please…don’t ride them. Beautifully said, Rachel. Elephant Nature Park sure gets under your skin and gets you thinking, doesn’t it? Kathrin, its really a special place. Your family spent a whole week there? I’m envious! 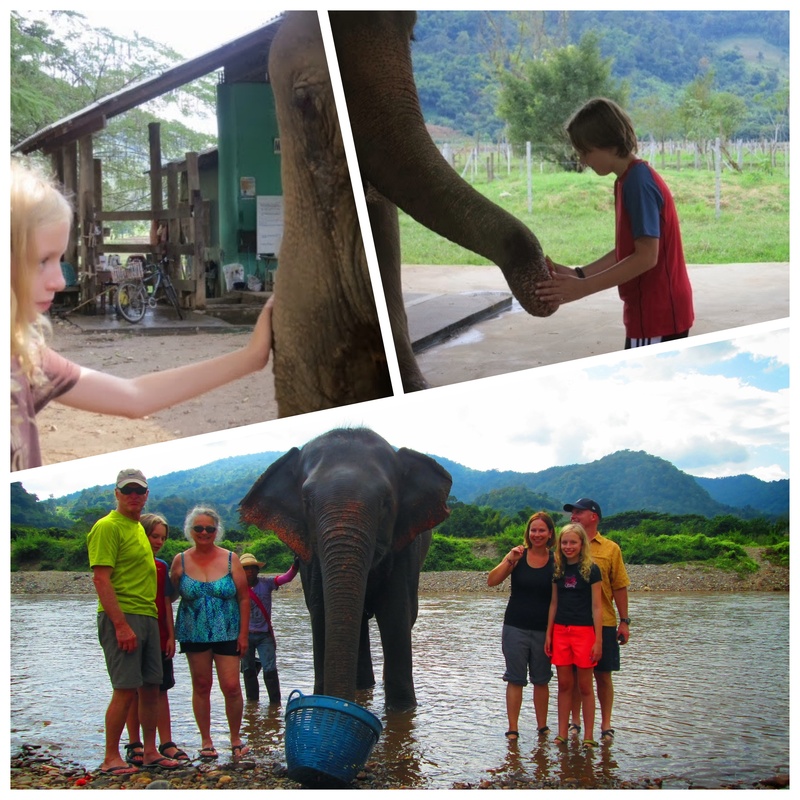 I appreciated your son’s review of your first day, http://takingthebigbreak.com/my-first-full-day-at-elephant-camp-in-chaing-mai/. The lessons our kids are learning, right?! Thanks so much for the nice words. I’ll let him know. He has decided that he wants to volunteer for a month next time. 🙂 I haven’t yet posted my thoughts as I am still working it out. It really is a beautiful and powerful place. Glad you got to go. Can’t wait to meet your kids! Thanks for your honest post on this situation. You were well-intentioned and caring, but, as you learned first-hand, there is no ethical, compassionate way to ride an elephant. Posts like this will help get the word out that tourists and travellers who care about the plight of elephants should refuse all such offers! It’s a hard thing to experience first-hand and I’m sorry that your family ended up in that situation. Rachel, enjoy the rest of your trip! Keep posting as we armchair travellers are really enjoying your experiences and your thoughts on things that you see and do. Stay safe and eat some mango sticky rice for me! Jenn, I just read your post (I thought I’d read your entire blog…how’d I miss this one?! )…and BLES sounds amazing. Thank you for weighing in, having experienced an elephant sanctuary personally. I appreciate it.